P16 is an evidence-based, multifaceted program to prepare Caldwell School District students for postsecondary education and provide guidance toward a meaningful career. 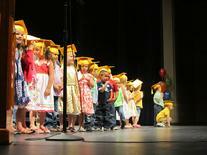 Preschool Program: To date, more than 150 children have been served at Lincoln and Wilson elementary schools. The overall goal is to increase the amount of those receiving early-childhood education to provide an opportunity for all CSD students entering kindergarten to learn skills to prepare for success through this program. Out of School Learning Program: This program gives children the opportunity to build meaningful relationships, improve health and well-being, receive academic support and develop a vision for a better future. It is available after school and during breaks, service days and the summer at Washington and Lewis and Clark elementary schools. Additionally, school-age coordinators have provided more than 650 hours of school-day support. Career Aspirations Program: A CAP liaison at each of the 11 schools in the district leads postsecondary education discussions and related activities. Examples include higher education campus field trips, parent events/information nights and one-on-one career planning. The Whittenberger Foundation is exceedingly proud of its role in helping the city of Caldwell build the current Caldwell Public Library. The Foundation's involvement began as as a "Challenge Grant" from the Foundation to the City of Caldwell to get a much needed new library building for Caldwell patrons. Along the way it took additional partnering with the Caldwell School District and formation of the Friends of the Library to make it all work. The new building was proudly dedicated in 1976 and continues to serve Caldwell patrons of all ages today. The Whittenberger Foundation made a significant commitment to the development of the Caldwell Family YMCA. The Caldwell Family YMCA is a project that few outside of the community thought was possible. However, through the leadership of Mayor Garret Nancolas, members of Caldwell and surrounding communities and the help of several major donors, including the Foundation, the new YMCA was opened in October of 2005.